This weekend went and saw a great Israeli film, called A Matter of Size. It's a comedy about 4 friends who decide to ditch their weight-loss club and form a sumo wrestling team instead. 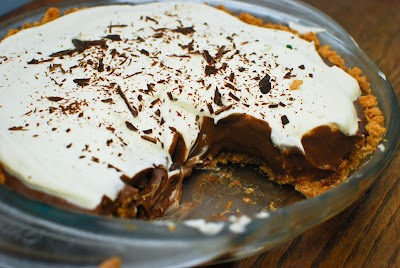 So I thought it'd be fitting for me to post about something, ahem, kinda sorta fattening...Chocolate Cream Pie. But DAMN. 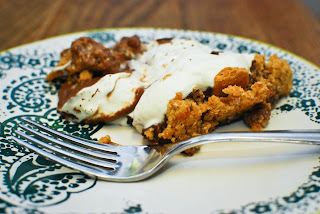 This pie is totally worth it! Forget running, I wouldn't mind getting sumo-sized for a slice of this chocolately fantasticness. It's velvety and rich and de-freaking-licious! As I said last week, I had some cream left over from the Double Chocolate Tart. So there I was at work, researching tsumanis and simultaneously daydreaming about what I could make...and then it struck. DUH! I have cream...I want to make something with it...*Lightbulb! *...Cream pie! And surprisingly not as bad for you as it could be...I mean, I used non-fat milk, so that counts for something...right? You will notice in the pictures (welcome back Photoman!) that the pie looks kinda melty. That's because he came to take pictures the day after I made it. If you decide to make this chocolatey beast (which omg you should! 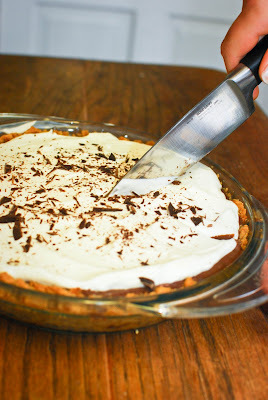 ), I suggest making the pie two days before you serve it. That gives the pudding/creamy goodness time to set. 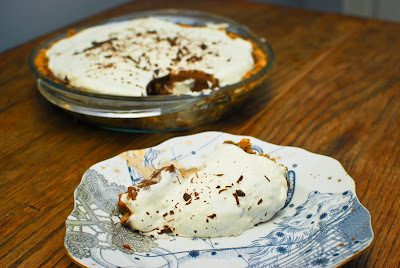 If Photoman and I had been able to resist the temptation of eating this pie asap, we probably could have taken some pictures that did not look like blobs of pudding in a pie shell (though there's nothing really wrong with that!). So without further ado. Here it is. 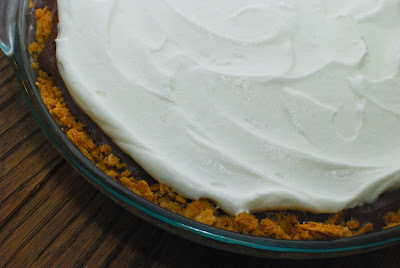 Stir together crumbs, butter, and sugar and press on bottom and up side of a 9-inch pie plate. Bake about 15 minutes, and cool on a rack. 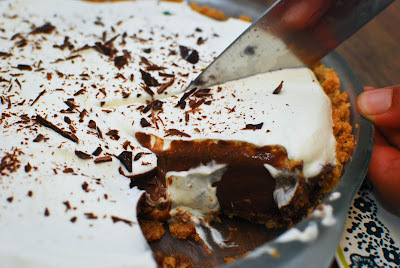 1) Place the chopped chocolate, butter, and vanilla extract in a 2-quart mixing bowl; set aside. 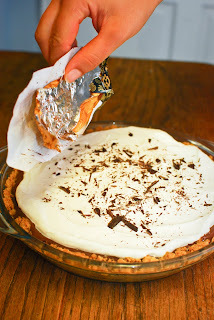 8) Place plastic wrap or buttered parchment paper on the surface to prevent a skin from forming, and chill thoroughly. 1) Place the heavy cream in a chilled mixing bowl. 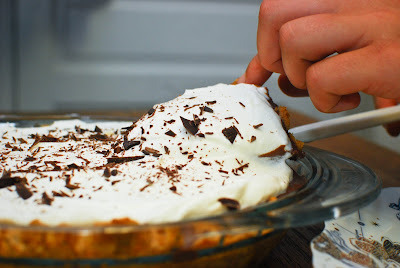 2) Whip until the whisk begins to leave tracks in the bowl. 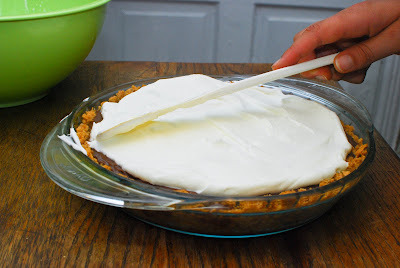 3) Add the sugar and vanilla and whip until the cream holds a medium peak. 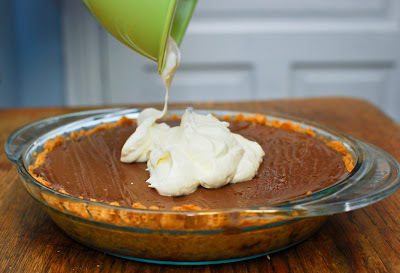 Serve with the whipped cream on the top of the pie or top individual slices with the cream. I also garnished with finely chopped dark chocolate. Just to make it prettier! Would you like a piece of pie?